Check out what people have to say about Gaza in Context​! An immensely valuable teaching tool, the film's power also lies in its fundamental humanity, a heartfelt entreaty to end the oppression and violence so that all people in this tortured part of the world may aspire to a future in which their children can flourish." ​​​Dr. Richard Falk, Professor Emeritus of International law, Princeton University, former United Nations Special Rapporteur to the Occupied Palestinian Territories. “Gaza in Context should be required viewing for everyone, including those familiar with the situation in Palestine. Powerful, informative, and persuasive, Noura Erakat delivers a fusillade of facts with concision and passion, obliterating in twenty minutes some three decades of media misinformation about Israel’s occupation of Palestine. An effective teaching tool, irrespective of one’s political position." "Gaza in Context is an excellent educational resource that places Israel’s ongoing attacks on Palestinians in Gaza in their proper political context, that of settler colonialism, resistance to such colonialism and the Palestinian struggle to stay alive. In 20 minutes, this film debunks many of the Israeli-perpetuated myths — myths that have been conveniently adopted by others — by focusing on facts. The various articles and discussion questions accompanying the film serve as essential tools for those wishing to learn more." ​​Raja Shehadeh, Palestinian lawyer, novelist, political activist, affiliate of the International Commission of Jurists, and a founder of the human rights organization Al-Haq. "Israel's deliberate fragmentation of the Palestinian people and their land for the past 70 years has also fragmented the Palestinian narrative and struggle for rights. This is just one reason why it is vital that efforts to stop and reverse Israel's colonization project adopt a holistic framework of analysis. Gaza in Context does just that: It zeroes in on Israel's repeated assaults against the besieged strip but then broadens out to show how Israel's attacks on Gaza are part of a consistent plan against the entire Palestinian people, a plan that from day one has sought to minimize the number of Palestinians in historic Palestine and maximize the number of Israeli Jews. The 20-minute film and accompanying educational materials succinctly provide the missing context in so many accounts of the conflict. It is an excellent entry point for the many thousands who are beginning to support Palestinian rights and an important refresher for others that have been involved in the movement for longer. Spread the word!" Gaza in Context in the News. Gaza in Context in other places! Gaza in Context at the Middle East Children's Alliance event on November 17, 2016 in Oakland, CA. Co-director and writer, Noura Erakat, lecturing on how Israel expanded its use of force and diminished Palestinian resistance. 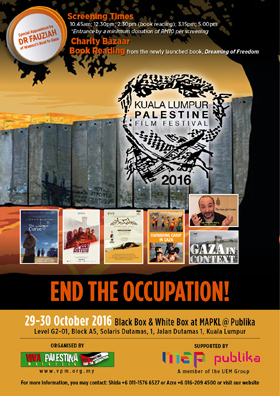 The lecture is followed by a presentation of Gaza in Context.